Most organizations appreciate feedback from customers, staff, donors or members. Online surveys are an affordable way to solicit feedback from stakeholders. After spending a considerable amount of time and resources on launching a survey campaign it’s disappointing when participation is less than expected. Here are 10 tips that will help increase activity for online survey campaign(s). 1. Create measurable objectives: Creating objectives before launching a survey allows the focus to stay on results. What exactly needs to be learned to make decisions? Many times an organization is tempted to ask for unnecessary feedback on specifics. For example, asking for feedback like: Please rate the number of steps needed to complete the ordering process on our website (then they would rate 1-10). Who keeps up with the number of steps when ordering? How would they accurately rate number of steps? How would a 1-10 rating be helpful to decision makers? Objectives are set so organizations can learn from specific feedback. What attributes should be measured? Excellence, Knowledge, Quality of Service, Staff Impression, Responsiveness, Likes, Dislikes, Suggestions, How likely they will recommend your business? And more! Another approach to obtain feedback on the ordering process would be: Please describe the ease of the ordering process on our website – Extremely easy, Easy, Somewhat easy, Difficult, Extremely difficult. 2. Use a trusted survey professional and tool: Surveys are like other forms of communication and should be managed by someone with a successful track record in conducting surveys. Just because someone has managed a survey doesn’t mean they were successful in doing so. Ask about their approach and experience managing surveys and working with survey tools. A survey tool such as Survey Monkey will not only provide a place to document feedback, but provide useful decision making reports. When launching an online survey campaign having a reliable survey tool is essential. There are several types of survey resources with different features. PC Magazine published the Best Online Survey Tools for 2016 – http://www.pcmag.com/article2/0,2817,2494737,00.asp Don’t be cheap, pay for the service. The features provided in most survey tools pay for themselves. 3. Promote the survey: During the selling process or sign up process let customers know they will be asked for their feedback. Share who will see the feedback and how it will be used to benefit the customer. If a general survey is being sent to get strategic feedback or provide a benchmark for future surveys, then utilize all forms of communication to promote and solicit participation including enews, social media and in some cases personal contact. 4. Keep the survey short: No one likes long surveys unless they are being paid for them. Research surveys and surveys to collect experience are completely different tools. Unfortunately there are organizations which employ the same approach. Ongoing feedback will provide excellent decision making tools and allow organizations to keep the survey short and sweet. Creating more than 10 to 15 questions will turn off participants. In some cases asking 3 to 5 questions is enough. Keep the total time to take the survey 5 minutes or less. 5. Keep the survey simple: Number ratings like “on a Scale of 1 to 5 or 1 to 10” are subjective. Instead offer word choices then use your survey tool to scale for metrics. Example: Strongly Agree, Agree, Disagree, Strongly Disagree or Extremely Knowledgeable, Very Knowledgeable, Moderately Knowledgeable, Slightly Knowledgeable, Not at all Knowledgeable. A great survey tool will offer scoring metrics when creating these types of questions. This approach in asking the participant to select a word to describe their experience can be customized for each question. Another common mistake is asking double barreled questions like: Did our staff provide accurate and friendly service? They may have been accurate, but not friendly or the other way around. You can employ the example above to assess a variety of attributes. 6. Test the survey: Once the survey is created, have a few people, not involved in the creation of the survey, lined up to test the survey. Make sure it’s working properly. Get feedback on the survey itself. Is it easy to understand? Look at the reports from the test data too. 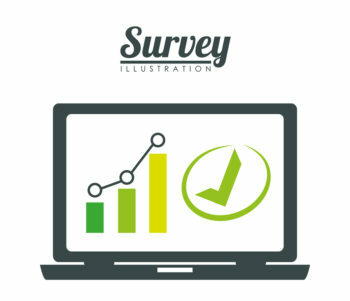 Do the results provide the information needed to meet the survey campaign objectives? What happens once the survey is complete? Review all the settings for the survey such as which questions are required or are optional. How long does the survey take to complete? 7. Know your audience: Not all surveys are “one size fits all”. When it comes to participation the more engaged the participant is in the organization the more likely they are to complete the survey. Private schools for example would have a higher participation rate in a survey than a retail customer. Contacts should also be fairly recent. While it’s tempting to ask for feedback from all your customers, it may be best to segment groups and compare response to see if there is any correlation. 8. Convey compelling reason to participate: The participant should know their audience too. They should know who will see their feedback, how their feedback will be used and whether or not it’s anonymous. If it’s an anonymous survey, include a contact if they want to follow up with someone. If the survey is short, easy to take and benefit the participant, then bribes are not needed to get feedback. If there is a compelling message that includes the “what’s in it for me” for the participant, then they are more likely to participate. Businesses offer coupons and entries into drawings because participation has been historically low. There is no shortage of reviews and feedback from Amazon customers because Amazon keeps customers engaged throughout the selling process, they know their feedback is seen and they know it’s useful for buyers and sellers. 9. Be accurate about how long it will take: When an introduction to a survey says “brief” there’s no way of knowing what “brief” means in terms of time. “Brief” is subjective. Is it 5 minutes or 30 minutes? When communicating how long the survey will take be specific. Don’t guess either, after testing the survey you should know on average how long it will take to fill out. The longer the survey the less respondents would be expected. 10. Communicate results: After a period of time, survey results can be shared in marketing campaigns and in other organizational content. As organizations make decisions based on feedback communicating those decisions demonstrates the value of prior feedback provided. For example: Thanks to our customer’s feedback we’ve reduced waist by 15%, allowing us to deliver exceptional service high without increasing the cost to our customers. There are many other ways to improve online survey participation. The 10 tips provided above provides a great foundation and strategy for most online campaigns. Each organization is unique and so should the surveys. A well planned and managed survey will give decision makers the right tool in leading the organization to success. Take advantage of Retention Resource Center, LLC – free survey review! Call 888-631-4440 or email surveys@rrc.us.com to schedule a call or better yet just email your survey for feedback. Customer Retention is an investment with high returns.